Chicken Ladies by nature like to keep an eye on their chooks. They’re always watching with a keen eye, looking for any changes in behaviour, possible signs of illness and also, perhaps most excitingly, trying to determine at what times their girls lay eggs. Chickens can sometimes be quite secretive about their laying habits, sneaking into their nesting box to quickly deposit an egg, before returning to the backyard looking rather nonplussed. Cracking the code of when a laying hen lays her egg is an exciting mystery most chicken lovers will adore solving. But first… A little about the egg laying process! After receiving a light cue from the sun the chicken releases an egg (the yolk) from their ovary into the uterus. The uterus slowly fills up with a protein rich substance commonly known as egg white. At this stage a membrane begins to form around the uterus wall that comprises mostly of calcium – this ultimately will become the eggshell. If the chicken’s body doesn’t have all the protein, calcium, vitamins and minerals at stages 2 and 3 it won’t be able to create a healthy looking eggs. For more information have a look at these egg oddities. It normally takes around 26 hours for the egg to become fully formed in the uterus, but some girls can prepare their eggs even quicker. The chicken’s uterus will contract once the egg is ready and it will gently push it out through their vent. An hour or so after it lays an egg the ovary will release another egg and the whole cycle will begin again. This of course is a very simplistic explanation of a process that is genuinely quite complex and fascinating - but essentially that’s what happens. What are the benefits of knowing when your chickens are laying? Collecting the eggs from the coop shortly after they’ve been laid is one of the easiest ways to prevent annoying habits like egg eating. Also, scooping up the eggs as quickly as you can also helps prevent any of your hens turning broody – there’s nothing quite as intimidating as a broody hen sitting on an egg in silent protest. 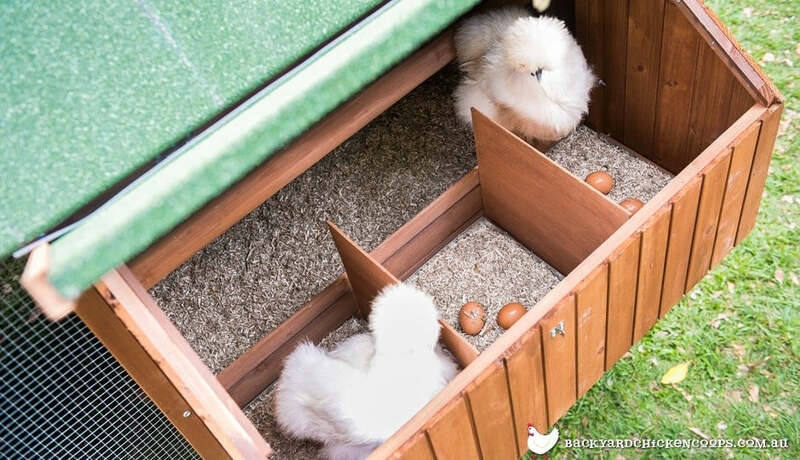 Knowing what time your chickens are laying is a good way to assess whether your chooks might have secret laying spots that you don’t know about. A classic sign of a hen with a secret is if you know that they’ve been laying but the eggs have started to go missing. Sometimes people just like to know what their girls might be up to at different times in the day. There are of course many other reasons why someone might want to know when their flock is laying, but these tend to be the most common causes that compel chicken lovers to find out. So when do chickens most commonly lay eggs? Generally speaking chickens tend to lay their eggs early in the morning, however, like everything in the world of poultry, the rules aren’t entirely black and white. As most top performing laying hens are operating on a 26 hour lay cycle or less it isn’t always possible for them to lay their eggs at 6 AM each and every morning. On average if a chicken is going to lay an egg at all that day they will do it within the first 6 hours after sunrise however some chickens have been known to lay as late at 3 PM. At the end of the day, there are no sure bets when your chickens are going to lay, but so long as you remember that the most popular laying hens are approximately operating on a 26 hour lay cycle and will normally deposit their egg into the nesting box within the first 6 hours after sunrise, you should have some idea of when to stick your beak into the coop. Do chickens lay eggs at night? The short answer to this question is simply “no”. Movies like Chicken Run may have lead us to believe that many chickens sit in their nesting boxes at night, gradually easing an egg out of its vent in their sleep. However, the truth is at night most chooks roost peacefully on their perches preparing themselves for a potentially productive morning of egg laying. Do different breeds lay at different rates? Different breeds do indeed lay at different rates. If there were a competition between an ISA Brown and a Silkie chicken to see who could lay the most eggs in a week, the ISA Brown would win hands down. This being said, if it were a beauty competition between the ISA Brown and Silkie chicken, then the Silkie would definitely have the genetic upper hand – all that colourful fluffy plumage is just so appealing! 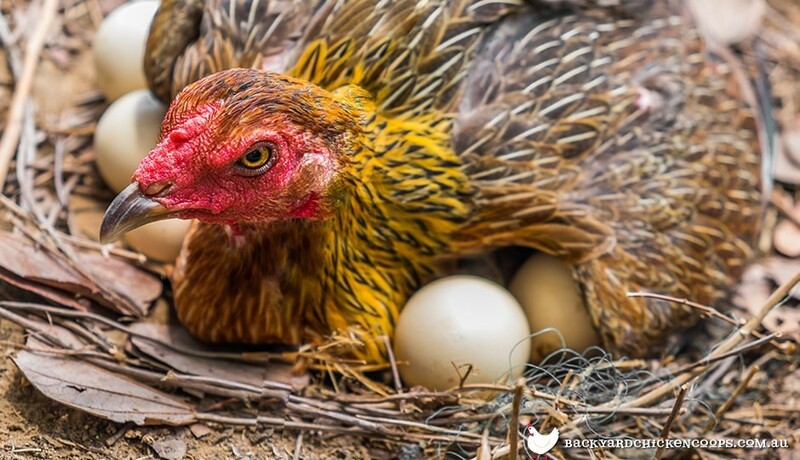 If eggs are very important to you when it comes to keeping backyard chickens it’s probably best to investigate breeds that lay the most eggs, while also investing in their environment to ensure the laying conditions are top notch. Will my chickens lay their eggs at different times during the winter months? If your hens are laying at all during the winter consider yourself very lucky! Chickens need at least 14 hours of daylight to lay eggs at all. As mentioned previously, the sun produces a hormonal response in the chicken that encourages their body to start producing eggs. So, if they are not getting 14 hours of sunlight it’s very unlikely that they’ll be able to produce eggs at all. 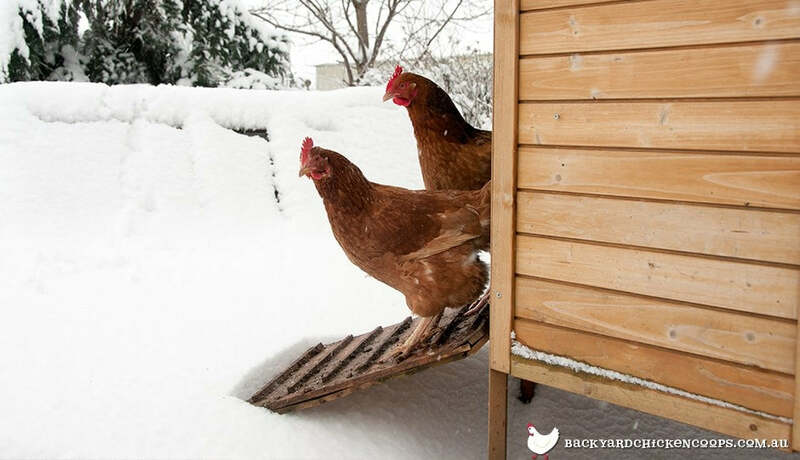 In different parts of the world and in different coop environments chickens might be able to occasionally lay in the winter however it is definitely not something you should rely upon. As is often the case with chickens, and life in general, there are no guarantees. The most important thing when it comes to the lay cycle of your chickens is that you create a comfortable and safe environment, which will make your girls feel relaxed enough to get to work. Coops like the Taj Mahal, Penthouse and Mansion are beautiful structures that will encourage your girls to lay top quality eggs. Investing in their home is a gratifying and rewarding thing to do for yourself, but more often than not it often results in bountiful egg production. Are your hens off the lay? 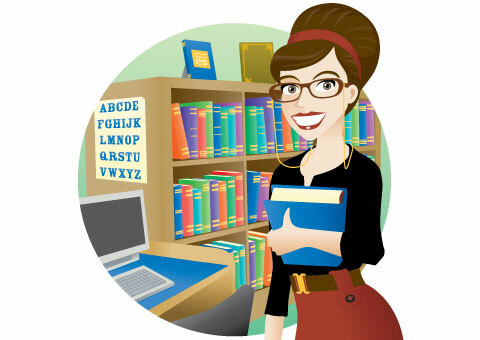 Are your ladies looking a little lacklustre? Have a peck at my top 3 reasons your chickens have stopped laying eggs!